Jordan Henderson’s impressive start to the season has been reflected by a statistic highlighting him as the most successful passer in the Premier League so far. According to Squawka, the Reds skipper has made 431 successful passes out of the 479 he has attempted, giving him a 90% completion rate. His tally comfortably betters that of his nearest rival Idrissa Gueye, who has successfully completed 352 out of 393 for Liverpool’s Merseyside rivals Everton. 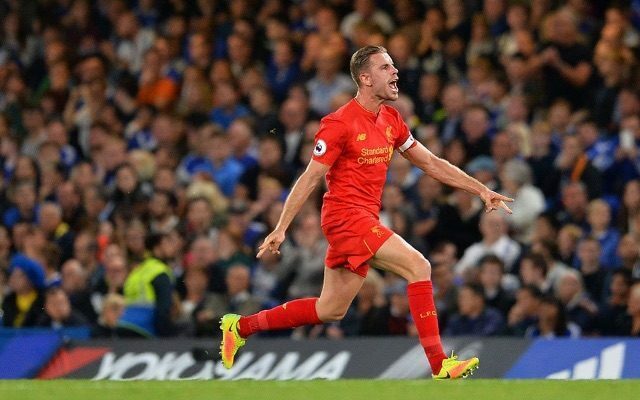 One figure that will stand above the rest for the many is Henderson’s eight key passes. This demonstrates his contributions to Liverpool’s forward play that has seen him become a steady figure in the middle of the park and one that is capable of initiating attacks. The stats recognise his greater involvement this season and his importance to the team when it comes to maintaining possession. Despite not making any assists so far in the league, his passing accuracy alone is not to be overlooked when considering the players he is listed amongst. He sits above four central midfielders that are key to their teams, three of which belong to sides in the top five places in the league and one that plays for the champions Leicester. Long may Henderson’s good form continue.